By opening this letter you’re already separating yourself from the herd who will eventually outlive their investment assets. That’s more than 60% of Americans, according to a recent study by giant accounting firm Ernst & Young LLP. E&Y also found the average person that’s seven years from retirement will be forced by diminished portfolios to gut their standard of living by 37 percent. That includes more than a few investors who now boast nest eggs of $1 million or more. Some will fail simply because they’re unable to curb a lifetime of high living habits. But even those who do cut back are at risk to running out of money, as they settle for the mediocre returns currently offered by such “prudent saver” investments as annuities, bank savings and “target” retirement accounts peddled by their advisors. Don’t look to bonds for a solution. Prospective returns are the lowest in decades, while risk to your principal from inflation and eventually another recession is the highest in years. Yet Vanguard’s popular Target Retirement 2030 Fund insists on investing 25% of shareholders’ money in bonds. Target 2025 has 35% in bonds. Target 2015, presumably for people who’ve been retired the past three years, is 55 percent in bonds! I don’t mean to pick on Vanguard. In fact, I’m a great admirer of John C. Bogle’s low fees approach and the way it’s revolutionized the business. The Target funds have certainly been a marketing success, with $16.55 billion in Target 2015 assets alone. But it’s hard to see how a retiree is going to survive on Target 2015’s barely 2% yield. Neither has this fund’s 5.9% annualized five-year return done much to build retirement savings. A basket of solid utilities would have generated twice the capital gains and nearly three times the income. Bonds can be a great investment if you time your purchases. Back in 2009 in the aftermath of the financial crisis, I highlighted for readers a basket of BBB rated utility company bonds yielding as much as 10%. More recently, I’ve recommended bonds of lower rated but strengthening companies like AES Corp and CenturyLink that yield upwards of 8%. But the idea that retirees or investors close to retirement must always own some set portion of their portfolios in fixed income like bonds, annuities and CDs is frankly preposterous. In fact, I’ve rarely come across a worse piece of advice in my 30-plus years in the investment advisory business. The bottom line is these Target funds are as fatally flawed as the low return investments they hold. Neither have they been particularly safe in bear markets: Target 2015 dropped -24% in 2008, while Target 2030 lost -33%. That’s not to say Vanguard doesn’t have some good funds. 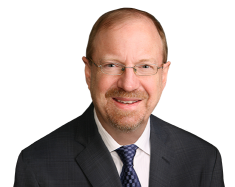 In fact, I frequently recommend the Vanguard Intermediate Term Tax Exempt Fund and its 2.8% yield as a place for investors to temporarily park cash. But the Target funds’ popularity makes it pretty clear to me that more people than ever are looking for easy answers to investment challenges—rather than embracing the opportunities all around us to meaningfully improve their lives. Which brings me to another bit of retirement killing advice frequently dispensed by investment media: Individual investors are too handicapped in the current market environment to make their own moves, including buying stocks. It’s true that giant ETFs governed by algorithmic trading strategies account for a growing share of daily volume. That’s significantly increased volatility and momentum as the stock market has moved higher. And we still don’t know what their impact will be when a genuine bear market arrives. But what we do know now is this jacked up momentum has already provided numerous opportunities to buy high quality stocks at what we call “Dream” buy prices. Those are prices that would only be reached under extreme circumstances, but if they did would lock in windfall gains. 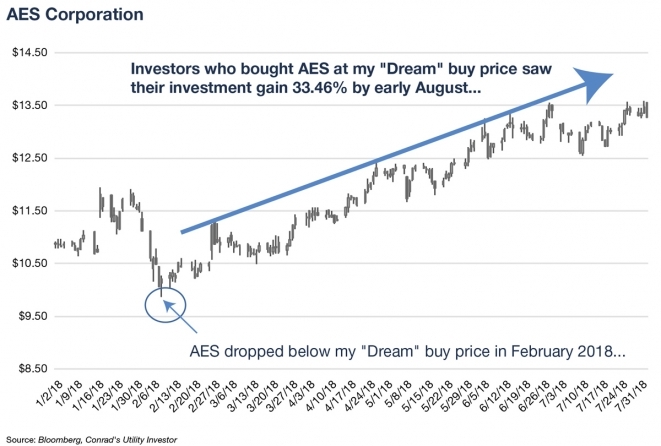 For instance… in early February of this year, AES Corp dropped below our Dream buy price of $10 per share. Our analysis confirmed the company was rock-solid, having recently increased its dividend by 8.3%. But algorithmic selling nonetheless drove this Dow Jones Utility Average member to its lowest price in three years. We saw the opportunity to recommend a table-pounding buy on the stock, and since then it’s up more than 33%. The same algorithmic investors have also afforded us several opportunities the past couple years to take windfall gains on either all or a portion of stocks temporarily driven into the stratosphere. Late last year, we took a partial profit on WEC Energy Group (NYSE: WEC) when the stock ran into the low 70s. Two months later, readers were able to reinvest the gains they banked at a price in the high 50s. • Bank some cash to invest in high quality stocks that drop. • Build a “wish” list of stocks to buy at “Dream” prices. I think you’re probably catching my drift now. Yes, the technical aspects of this market are a lot different than they were a decade ago. I still remember that date back in the mid-1980s when mutual funds’ average daily trading volume overtook individual investor trades. It has been nearly 10 years since the 2008-09 Financial Crisis. But that near decade has proven once again that even the damage from the biggest and baddest bear markets can be overcome with a steady hand guiding a disciplined investment strategy. Yeah, the S&P 500 lost about 55% from the end of June 2007 to the bottom on March 9, 2009. But since then, this most basic of stock indexes has returned over 400%. Even if you’d invested 100% of your money at the top in mid-2007, you’d have earned better than 8% a year on your money. Anything invested at the bottom would have returned 18.8% a year. Armed with a willing trader like Interactive Brokers, individual investors today can literally buy any stock in any market. The big pools of capital in contrast are strictly limited to what they can invest in. That’s because only a relative handful of stocks are liquid enough for them to take positions that will be potentially meaningful to returns. If they buy too much of a stock, they basically own the store. Getting out in a pinch will be next to impossible. The problem is even worse for passively run pools of capital, which basically slosh money around inside ETFs. Every time they buy or sell, all the investments in that ETF change hands. The bigger these pools grow, the more they move the markets. And with so many of the governing algorithms written similarly, the effect is compounded. Individual investors of course do feel the pain when a stock we hold gets sold off. The difference is, provided we’ve done our homework regarding the underlying company’s strengths and weaknesses, the suddenly lower price will be an opportunity to buy low. And if we’re lucky and get our Dream price, we won’t have to wait long for a windfall gain. So let me introduce to you a strategy that does all these things. I call it “CUI Plus,” and it’s based on my more than 30 years of accumulated investment knowledge and experience. As you’ve probably gathered from reading this, the cornerstone of the strategy is stocks, specifically of healthy and growing companies that pay generous and increasing dividends. The focus is essential services, without which a functioning modern world is impossible. I’ll have more on the opportunity I see in businesses like electricity later in this letter. But suffice to say the stocks I’ve built my career on are able to grow their earnings and dividends in every economic and market environment, including financial crises like 2008-09. Now in a latter stage bull market, they pay safe dividend yields as high as 10% and growing as fast as 20% a year. I want to make clear right now that I’m NOT a yield chaser. In fact, I devote a column in every issue of Conrad’s Utility Investor to my Endangered Dividends List. These stocks lure unwary income seekers with the sirens’ call of mouthwatering yields, eventually crushing their portfolios on the rocks of deep dividend cuts and usually even deeper share price declines. I’m currently warning investors about 20 companies that are headed for trouble. That’s less four names I had on the Endangered list in January 2018, which have cut their payouts by 50%, 100%, 45% and 80% respectively. This somewhat less than fantastic four have also shed another 20% of their value this year, adding to losses sustained in 2017. That’s adding insult to injury for investors smarting from lost income. And unfortunately, the 20 current members of the Endangered Dividends List are likely headed for the same fate. Helping income-seeking investors avoid stocks at risk of dividend cuts is one of my most important objectives at CUI. Even more important, however, is showing you what stocks to buy, and when to buy them. • Balance Sheet and Refinancing Risk. Companies are rated from A (highest quality) to F (lowest). I then combine these ratings with my read of valuation criteria to deliver my buy/hold/sell ratings for all 208. All buy-rated companies are also assigned a target buy price, above which we do not advise buying. As a rule of thumb, I’ll rate an “A” company a “buy” if the sum of its dividend and annual growth rate is 10% or greater. Companies with lower Quality Grades need to offer higher prospective returns in order to be rated buys. Every three months, the Utility Report Card highlights an in-depth explanation of Quality Grades and how the 208 companies I track stack up on each of the five factors. While a great many numbers go into determining each of these criteria, my guiding principle is that you always have to take into consideration both quantitative and the qualitative aspects to get a clear picture. The “payout ratio” is easily the most used and abused number in income investing. In my experience, however, I’ve found only a small fraction of investors actually use this information the right way—that is, so the payout ratio actually says something useful about whether a dividend is safe or at risk. The calculation itself sounds simple enough: Divide the dividend by earnings from which it’s paid. The lower the percentage result, the better covered the dividend and, therefore, the safer it is. Unfortunately, even many analysts don’t take the time to make sure they’re using the right inputs. Popular investment screens, for example, are notorious for including one-time cash disbursements as dividends. They’re also always late to reflect dividend cuts and increases, as well as announced payouts for new entities following initial public offerings. All of these will result in the wrong dividend being used as a numerator, and therefore a misleading payout ratio. Screens also routinely get it wrong when it comes to accurately showing earnings. Most often, that’s because they almost universally use earnings per share under GAAP, even if that figure includes significant one-time gains and losses. Big screen services also almost always fail to identify pass through entities like real estate investment trusts (REITs), which under law are able to minimize taxable earnings and therefore pay dividends from cash flow. As a result, the payout ratios they report are basically useless. That’s why every quarterly earnings season I calculate payout ratios by hand for the 208 companies tracked in the Utility Report Card. But that’s just the tip of the iceberg when it comes to real dividend safety analysis. As shareholders of SCANA Corp found out this year when that Endangered Dividends List utility cut its dividend by 80%, a low payout ratio isn’t worth much if there’s reason to expect the bottom to drop out from earnings. What counts is sustainability, and that wasn’t possible to ensure with South Carolina regulators out looking for the utility’s blood. And I’d like to thank the analysts who so bungled their dividend safety calculations that we were able to add NextEra Energy Partners to our model Portfolio when it traded in the 20s a couple years ago. The stock is now in the mid-40s. We didn’t just recommend NextEra Energy Partners for its safe dividend. That stock is A-rated because it stacks up well on the four other factors as well. And I arrive at my read on each of them by also looking at a wide range of qualitative and quantitative data. But it’s the only method that gets you to see the forest when it comes to a company, rather than get stuck up in the trees. That’s one reason I also set great store in getting out of the office and talking to people in the industries I cover. That includes an annual trip in November to the Edison Electric Institute’s Annual Financial Conference, from which I always share my observations as well as my top picks and pans, with readers. My trip to last year’s conference in Orlando has already proven well worth the price of admission. My four picks are up 11.7% over a period when the Dow Jones Utility Average has lost -3.4%. 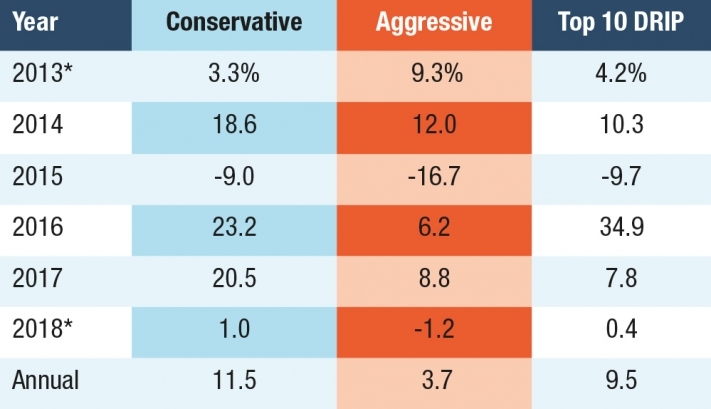 I also got early heads up on the impact of tax reform (positive), regulatory trouble in South Carolina (negative), solar power growth despite steep tariffs (positive) and merger activity (positive). I’m looking forward to exploring many of these same themes at this year’s conference. But I’m actually most excited about discovering big picture themes that I’m perhaps overlooking. These can pretty much only be discerned on the ground by talking to people at informal activities and one-on-one meetings with executives, as well as from specialized panels, company presentations and by keeping my ear to the ground to catch wind of developments at industry-only meetings. My audio/visual presentation from the 2017 EEI is one of the five reports I’m offering investors who take me up on my risk-free offer for a trial subscription to Conrad’s Utility Investor. I’ll show you EXACTLY how to secure your copy, with no risk or obligation, a little later on in this letter. Another is my report on the locked in growth offered by US electric utilities. 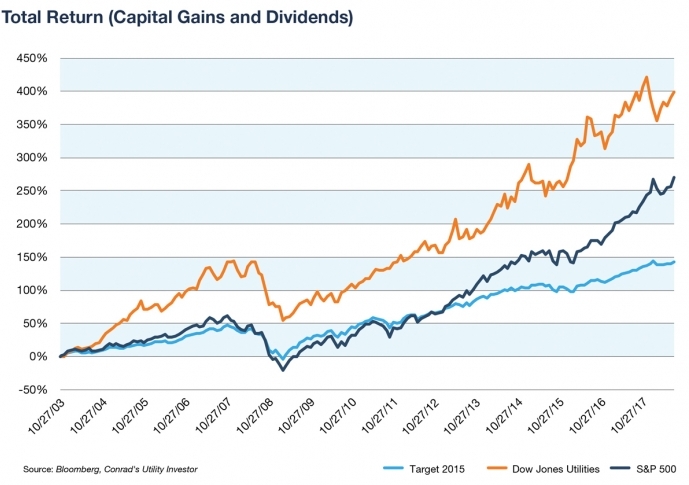 It’s hard to over emphasize just how important dividend growth is to income investing now. Fixed income yields aren’t just at generation low levels. The value of what they do pay erodes each year due to inflation. There’s no prospect of an increase and every day its value is diminished by the rate of inflation, which officially right now is around 2% but is actually a LOT higher for most essential expenses like health care for example. Now contrast bonds’ stagnant prospective returns with those of a stock that’s been one of my top picks, Dominion Energy. The company’s dividend yield is just shy of 5%, and management plans to increase that by 10% annually over the next several years. That 10% is roughly five times the current rate of inflation. Moreover, a 5% yield that’s increased by 10% will pay 5.5% on the original investment after year one, 6.1% after year two and more than 8% after year five. And because stock prices over time will follow a rising dividend higher, there will be generous capital gains as well. As my report “The Future is Electric: Utilities, Renewable Energy and Electric Vehicles” explains, utilities are growing their dividends faster than at any time in memory because of investment opportunities not seen in decades. And unlike the power plant building cycles of the past, this investment is actually driving down costs and increasing efficiency. That adds up to an exceedingly rare combination of low risk, robust earnings growth and downward pressure on customer rates. And the result is sustainable dividends and dividend growth for investors in sector stocks. One thing you’ll find about our Conrad’s Utility Investor Portfolios is we diversify and balance. No matter how big we see the opportunity in a particular sector like electric utilities, we’re not going to overload. That’s also our ironclad rule with individual stocks, again no matter how much we like them. We can avoid doubling down without sacrificing the long-term upside of our portfolio for one simple reason: For all its promise, electricity is far from the only growth game in essential services. The best and biggest of the communications sector, for example, are on the verge of an investment and revenue explosion, as they roll out 5-G networks that will enable a quantum leap in network speeds and capacity. Some observers estimate the market for consumer and Internet of Things applications made possible will eventually dwarf industry leaders’ current revenue base. That’s an impressive claim indeed, when you consider Verizon Communications did roughly $130 billion in sales over the last 12 months. And as my report points out, investors have an unprecedented opportunity to buy this sector cheap. Even industry leader Verizon trades at barely 11 times expected 2018 earnings, despite recently posting year-over-year earnings growth of 25 percent. Communications companies’ big discount to the rest of the stock market can be chalked up in large part to business failures. 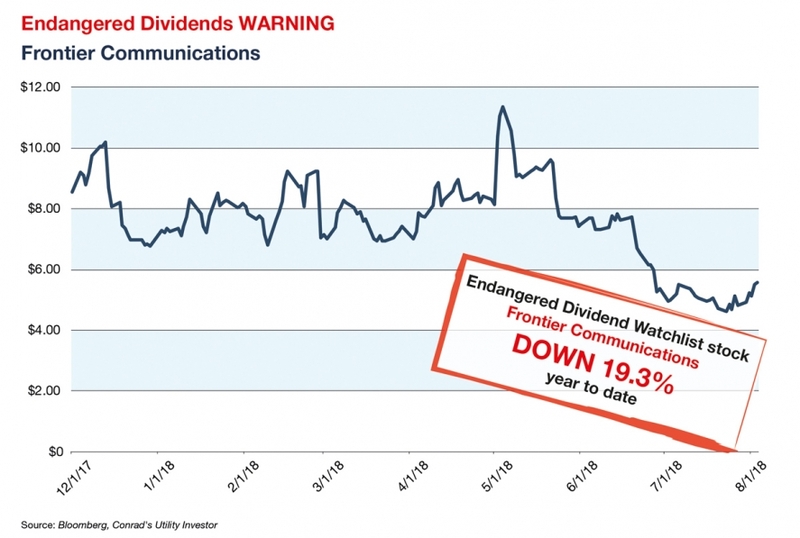 Investors who’ve watched Frontier Communications eliminate its dividend and drop by more than -66% over the last 12 months can be forgiven for being gun shy about committing more money to the sector. Unfortunately, the travails of weaker telecoms aren’t over. Frontier’s demise is just the latest stage of an industry evolution that’s seen the rich like Verizon inevitably get richer at the expense of almost everyone else. Even the fourth biggest US wireless company Sprint Corp appears to have a date with bankruptcy court, should it fail to merge this time with T-Mobile USA. Communications evolution means investors can’t just buy any sector company and expect to realize big returns from 5-G and the Internet of Things. Selectivity is essential, and our Quality Grade system is the ideal tool for making the right choices. Perhaps the most essential service of all is water. At this point, municipalities and other government entities own and operate drinking water and wastewater franchises serving more than 75% of Americans. But that’s changing fast, as officials look for ways to overcome an investment deficit amid rising public clamor for safer water supplies. They’re turning to the handful of investor owned water utilities to provide that surety. And the result is an emerging earnings growth opportunity for the likes of Aqua America and American Water Works. The biggest challenge for investors is valuation. Investors’ zeal for safety and yield combined with a limited supply of water stocks to buy has resulted in unsustainably high valuations for many sector utilities. That makes them extremely vulnerable to disappointment and selloffs. My report “Better than Oil: The Most Essential Resource” not only highlights the best water companies for growth, but it separates out the stratospherically priced and identifies what would be fair entry points. I also look at the relatively new trend of sector mergers, including what’s literally an ongoing four-way battle for a small utility in New England and another in the US Southwest. These are all compelling opportunities, even if you’re not primarily investing for income. That’s why in addition to our safety-first Conservative Holdings and more risk tolerate Aggressive Holdings, we also offer a Top 10 DRIPs Portfolio. Top 10 DRIPs is specifically designed for long-term savers. 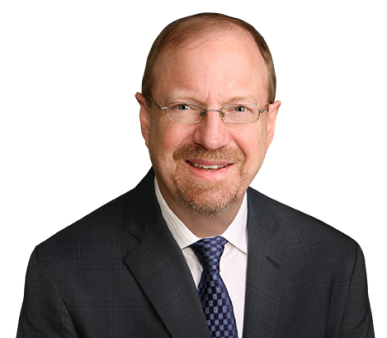 It’s based on a wealth building strategy I’ve personally followed since the 1980s, and which has been invaluable paying for what will ultimately be three childrens’ college education. My annual dividend will soon be larger than what I originally put into it! The 10 companies in this portfolio all have very strong, long-term track records of increasing shareholder value. And each is set to keep doing so for years to come. In fact, they increased their dividends an average of 6.4% last year, the surest outward sign of inner grace. I continue to personally own most of them. The Top 10 DRIPs portfolio is diversified and balanced by stocks and sectors. And I follow the same principal with the Conservative Holdings and the Aggressive Holdings. Some years, a particular stock or sector leads. In others it lags. Over time, however, these companies increase their value as their businesses grow. That means we enjoy capital gains, as well as a rising stream of dividends that beats inflation by a wide margin. If you have a successful business to invest in, by all means do so. Productive assets are almost certainly the best place for your savings. That’s also a practice I follow with my own business Capitalist Times, the publisher of Conrad’s Utility Investor. When it comes to an investment portfolio, however, nothing beats a diversified and balanced portfolio of high quality companies with generous and growing dividends. My goal is to help you build one based on my foundation of time-tested principles and track record of more than 30 years in this sector. Now please let me share a little bit about me. I came to this business in the mid-1980s from an admittedly unusual background for an investment analyst. My model for investing was my father, a college professor who built a comfortable portfolio from a modest salary by using the principles of patience, persistence and hard work. My college major, however, was Anthropology. And while I graduated with a Masters of International Management in Finance, my goal was initially to work for the US government, either the State Department or what was then the Overseas Private Investment Corp. In fact, I got my first job in the investment business on a recommendation from one of my oldest friends, writing letters and answering phone calls for KCI Communications’ investment newsletter gurus. That was real hard work. But it did teach me volumes about something business school couldn’t: What really motivates investors, and what readers really want from advisors. I continued to answer reader queries from 1989 to 2013, when I was sole and founding editor of Roger Conrad’s Utility Forecaster. I can say right now that not everything I touched turned to gold. The electric industry deregulation scare of 1993-94 found me fighting for Utility Forecaster’s very life, as many investors fell prey to the very wrong conventional wisdom that the sector business model was done. In 1999, I relied on subscriber anger to convince my publisher not to change the name of the newsletter in a tech-crazed world. And while I did sell Enron before its final collapse in late 2001, many of my Portfolio stocks did take on big losses in the wake of its fall in 2002. These setbacks did teach me one thing above all else: Keep a steady hand no matter how bad things get. Over the years, I have had to cut some stocks loose at a bad time. Sometimes it’s been the consequence of not seeing emerging troubles before it was too late. Sometimes, it was due to circumstances that could not have been reasonably foreseen. And sometimes, I’ve lost simply because management was less than truthful with me, as well as others. And that’s ultimately the reason why Hulbert Financial Digest rated me number one for 10-year risk adjusted total return in April 2013. That’s a period that included the Financial Crisis of 2007-09 and I’m very proud of it. But it was time to leave my labor of love for 24 years, Utility Forecaster, to join my partners at Capitalist Times and to launch Conrad’s Utility Investor. CUI has since then been the advisory I always wanted to write. The electronic format has enabled me to provide a wealth of information in a far more timely way than was possible under the old print format. I’ve been able to provide multi-media, rapid alerts and quarterly online subscriber chats. And it’s been truly liberating to control the marketing message my name is used for—no more “rare” coin advertisements! Note that 2013 is from the CUI Portfolios inception July 31, 2013. 2018 is year-to-date through July 23. The only bad year in there was 2015, a down time for utilities and communications but also for the energy stocks we held. Energy has performed quite a bit better recently but still should have quite a good run ahead of it, now that oil prices are three times their early 2016 lows. Energy will never be the major piece of our Portfolio. It wasn’t in 2015, or our performance would have been quite a bit worse: The Alerian MLP Infrastructure Index, for example, dropped nearly -40% that year. Even many super major oils dropped -20% and more. The energy stocks we do recommend, however, are a horse of a different color. They provide safe income and are generally focused on essential infrastructure. Stocks like ONEOK have returned better than 35% this year because investors are once again recognizing their utility-like characteristics. Once again, they’re providing portfolio strength and stability, this year in an environment where interest rates are rising again. You’ll also get access to my Dream Buy strategy to lock up the best stocks at prices that virtually guarantee windfall profits. I’ll show you how and when to lock in gains that are essentially equal to years of future dividends, and how to buy back at bargain prices when the momentum shifts. ✓ A strategy that will enable you to generate income that’s 2 to 3 times higher than available fixed income as well as the S&P 500. ✓ A strategy that will grow your income stream at several times the rate of inflation every year. ✓ A strategy that minimizes the risk of dividend cuts that not only eat into your income stream but destroy principal, sometimes permanently. ✓ A strategy that diversifies and balances your holdings among the highest quality stocks in the most resilient of sectors, all essential services, to reduce volatility to principal even in this latter stage bull market. You’ll also get 5 reports, which are yours to keep whether you decide to stick with CUI or not. That’s the four I’ve highlighted in this letter, as well as my “Top Sector Picks for 2018-19,” with my picks and pans for each of the nine major sectors represented in the Utility Report Card. 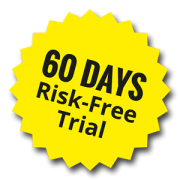 Check out all Conrad’s Utility Investor has to offer for 60 days and if you’re not 100% satisfied – for ANY reason whatsoever – simply cancel your subscription and I’ll give you a prompt and full refund, no questions asked. I’ll also make one additional promise to you, the same one I made to our charter subscribers who came with us to Conrad’s Utility Investors back in 2013. So long as you continue to renew your subscription on a timely basis, you’ll never be charged more than you’re paying now. That’s an offer many publishers make but in 30-plus years I’ve never seen another keep. DISCLAIMER: Capitalist Times, LLC is a publisher of financial news and opinions and NOT a securities broker/dealer or an investment advisor. You are responsible for your own investment decisions. All information contained in our newsletters or on our website(s) should be independently verified with the companies mentioned, and readers should always conduct their own research and due diligence and consider obtaining professional advice before making any investment decision. As a condition to accessing Capitalist Times materials and websites, you agree to our Terms and Conditions of Use, available here, including without limitation all disclaimers of warranties and limitations on liability contained therein. Owners, employees and writers may hold positions in the securities that are discussed in our newsletters or on our website.